The right product assortment in a department is the trick to drawing in the consumer to shop and hopefully buy. In today’s marketplace, understanding and managing supply and demand is more challenging, and using analytics has become a critical component of business success. Paula Payton, a faculty member for the Master of Science in Applied Analytics program at Columbia University's School of Professional Studies, says analytics can provide a richer, more nuanced view of customer buying behavior, given the increase in the number of channels by which consumers can access products. 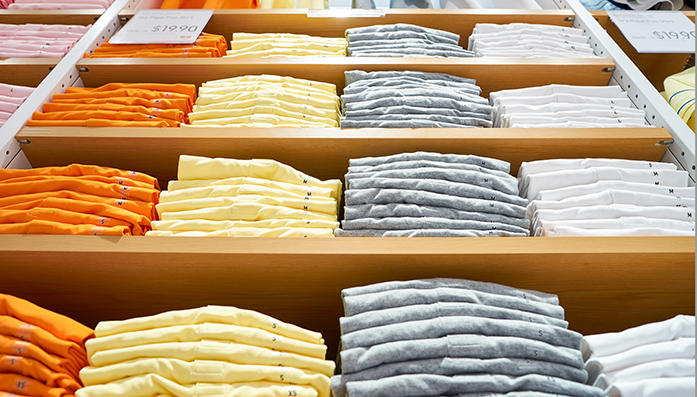 Here are five ways data is changing the game in retail. Every retailer wants to know what merchandise you’re going to want this season. The task of the analyst is to drill down and understand what products shoppers are buying online, in-store, and what products are working best within a given market. From an analytic standpoint, using clustering techniques to really understand local markets or trade areas, grouping them by similar preferences and selling patterns is an important use for retail analytics. This enables retailers to manage merchandise effectively to ensure stores carry optimal quantities of assortment that cater to local market needs. All items can be described according to their attributes, like fabric or color. For example, metallic trench-coats or bold floral dresses. Since every piece of merchandise can be analyzed according to dozens, or even hundreds of attributes, conducting analyses at the attribute level helps retailers understand what attributes are most important to consumers in a given season. This then drives their assortment planning decisions. The right product assortment in a department is the trick to drawing in the consumer to shop and hopefully buy. Sales forecasts are a critical component of many processes that are core to retail, including pricing and inventory management. AI and ML (machine learning) are perfectly suited to forecasting and stock allocation because these processes have traditionally been manual, and most retailers admit they are not managed that efficiently. There is great potential for self-learning mechanisms to maximize product availability and promote what's most likely to sell, and forecasting that utilizes a combination of structured and unstructured data to eliminate the pain points associated with under- or over-forecasting for retailers. While real-time inventory tracking benefits from data, so does route optimization and more efficient transportation using GPS-enabled data. Some companies with fleets of trucks use data to analyze the most efficient route from the warehouse or dock to the store, which helps the retailer manage their transportation costs, which are significant. Last mile delivery routing which optimizes total time and estimated time of arrival, so it ultimate reaches the consumer on-time, is a hot area right now. Personalized recommendations based on purchase preferences, online data, and smartphone apps are another way data drives retail. In this iterative model, customers provide real-time browsing and buying information, that is utilized by marketing to make communication and marketing back to them more relevant and engaging. Data can help retailers get to extremely rich models down to the individual that allow for micro-targeting and hyper-personalized offers. Learn more about the Master of Science in Applied Analytics program at Columbia University’s School of Professional Studies.